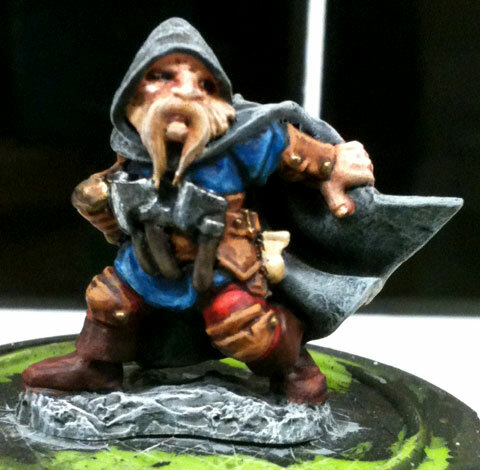 In a quick update for Miniature Monday, I have recently finished The Lord of the Feast and a Dwarf Thief model for the new Pathfinder campaign at work, both models representing stealthy characters of different sorts. The Lord of the Feast came together very well. I wish I had built a little more contrast into the color scheme, but it does make the hair really pop. Look, kittens! I love kittens. And the flesh of my enemies. I wish I had built a little more contrast into the color scheme, but it does make the hair really pop. My Dwarf Thief is a nice Reaper mini, and I made a point of trying to paint him quickly for a change, all in all about 4 hours or so. I steal everything, basically, but especially mustache wax. While the photos are a little washed out, the blonde beard was probably not the best choice, both because I am not good at Blonde yet, but also because it fades into the skin tone a bit. Thieves's Guild, not Lollipop Guild. Come over here and make that joke. 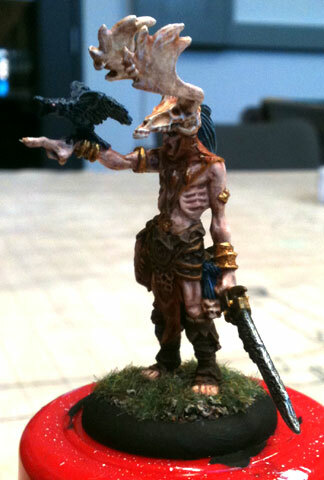 I intend to try painting the entire Druids of Orboros unit this weekend, so I used this as a dress rehearsal for the cloaks. It came out too light, so I’ll go darker for the druids. 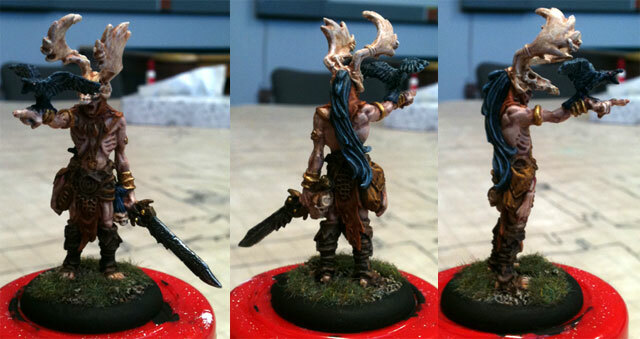 This week, I’m working on Nuala the Huntress.